Happy Tuesday! How are you all doing? We are gearing up for our son and new daughter-in-law’s Open House this coming weekend!! More fun times that is for sure. 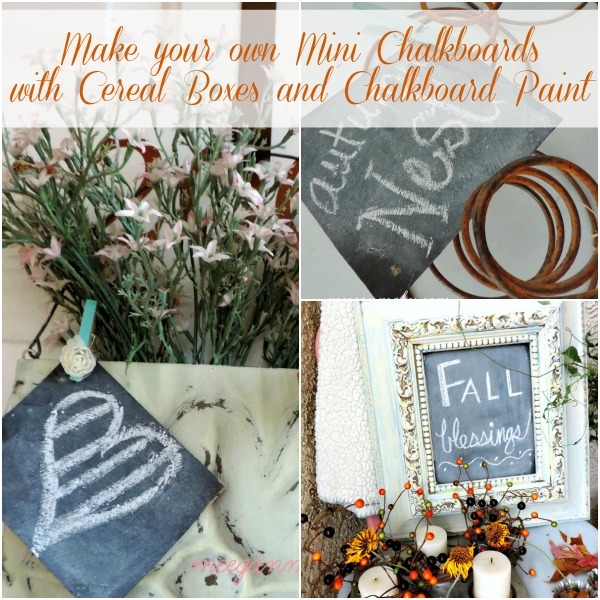 On my list is: How To Make Cardboard Chalkboard Signs. For the Open House we are have 4 kinds of pizza (made in a wood fire pizza oven in a back yard!) and 6 kinds of homemade cakes, so each one needs a label. 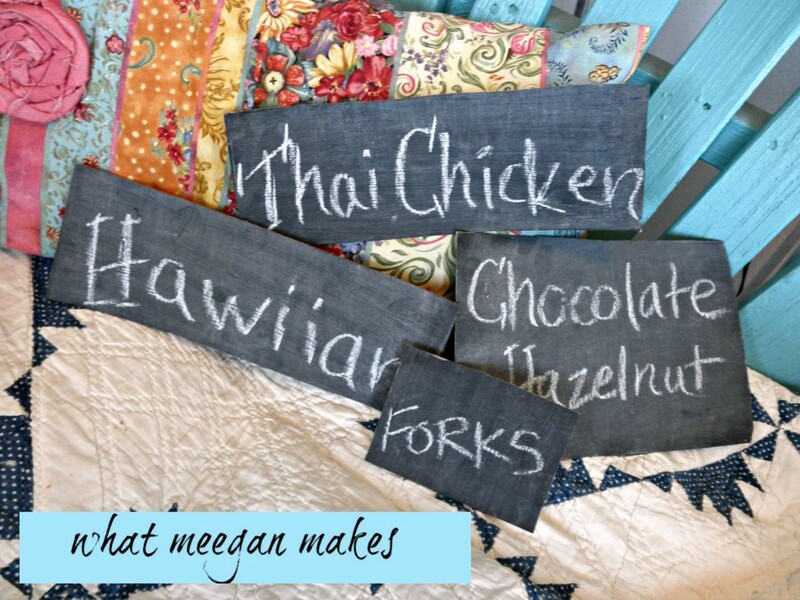 For our son’s wedding, I made chalkboard signs for the food, and I promised you a tutorial for it. They are so easy and they turn out great. 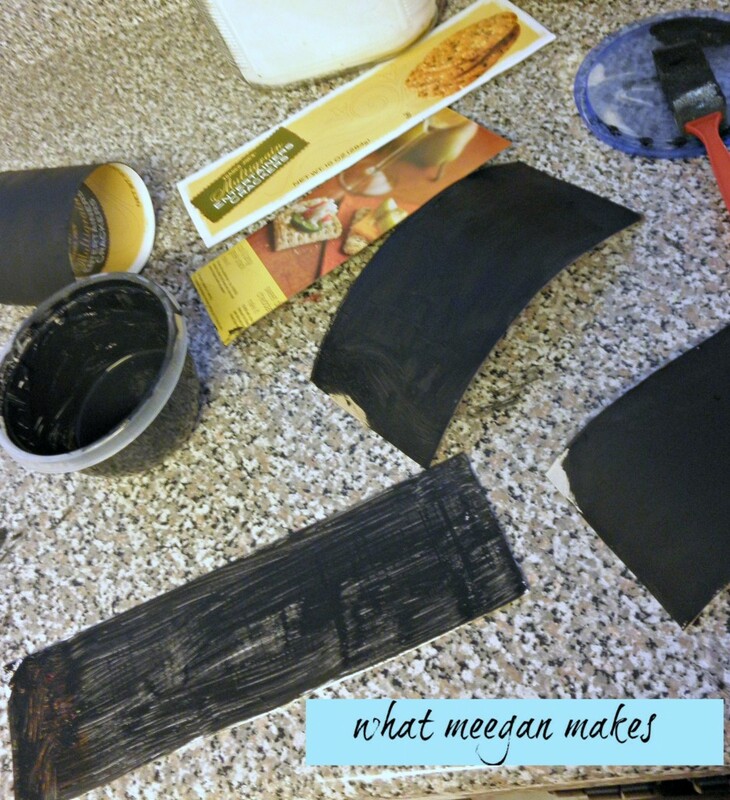 The first step I use in my tutorial for How To Make Cardboard Chalkboard Signs, is making my own chalkboard paint. I mixed until it was smooth. For my “board”, I used a cracker box, any box will do-a cereal box, or even a shoe box. I painted on the back side of the box. As you can see the labeled side doesn’t absorb the paint as easily. As the paint dries the cardboard does begin to curl. I let it dry a little bit-maybe 3 minutes, then I laid my scissors on it for about about 5 minutes and then they stayed laying flat. 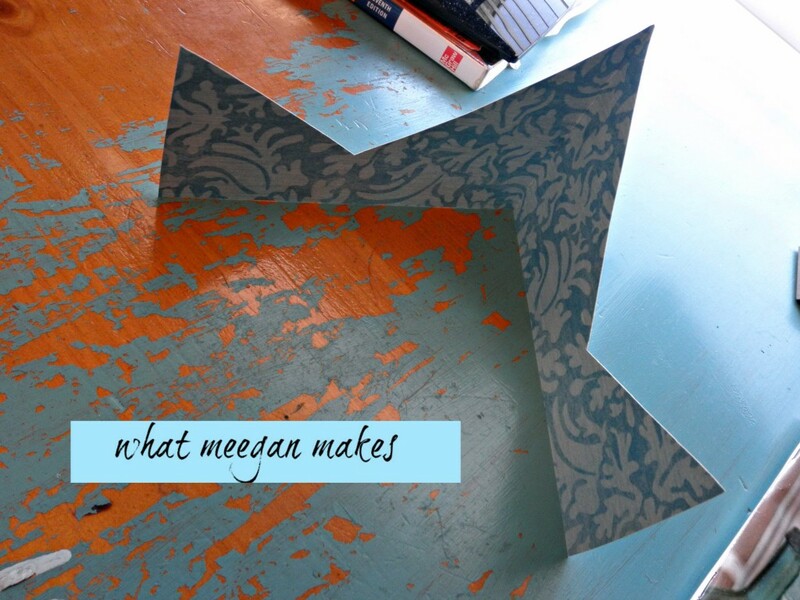 To make a “stand” for my chalkboards, I folded a piece of cardstock in half and used a template as my pattern. Here is my stand ready for my chalkboard. Yay! OH!! These would be great for your Thanksgiving dinner and any Holiday parties you might be throwing, too. Isn’t it so easy? 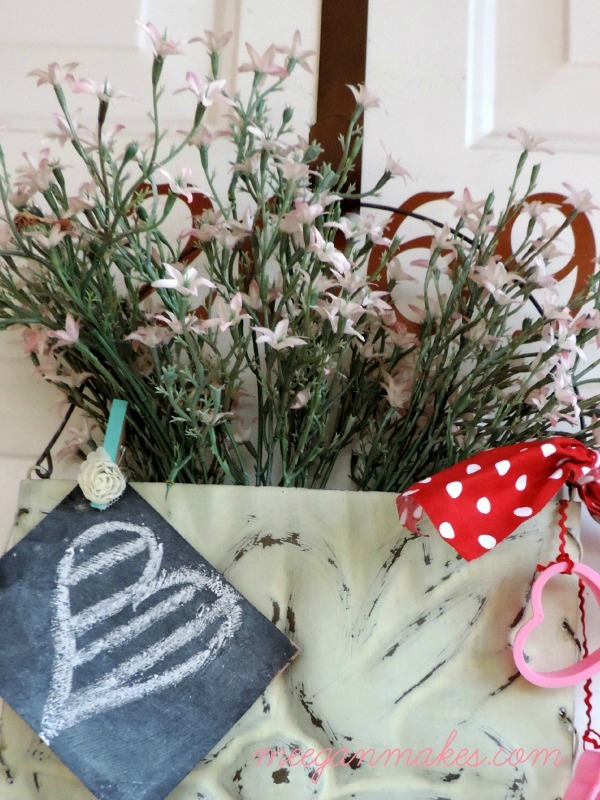 I am excited to use my Cardboard Chalkboard Signs for the Open House. I also can’t wait to share with you all the decor will will be doing. 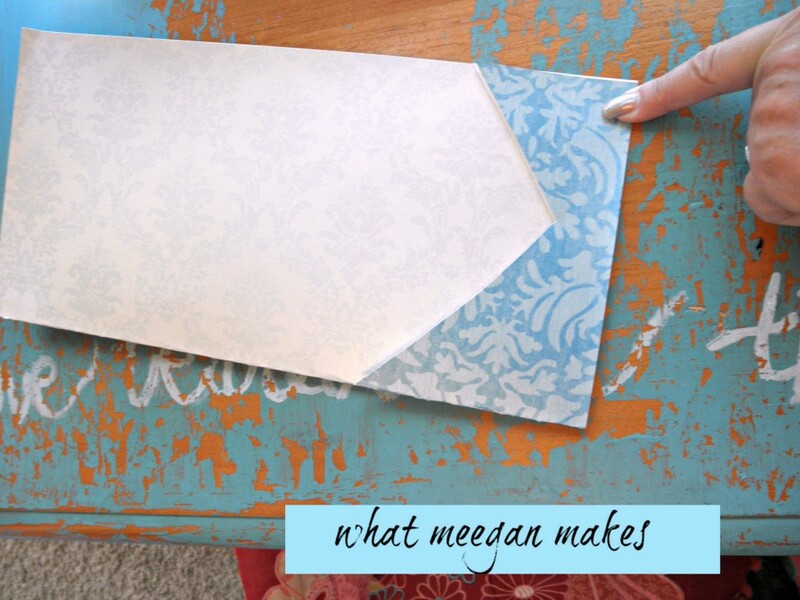 Thanks for joining me as I shared How To Make Cardboard Chalkboard Signs. I can’t wait to see what YOU come up with. So cute! I am a new follower of yours. I have some chalkboard spray paint and haven’t quite decided how to use it. This is very clever. Thanks for being a new follower!! I LOVE that you will be here often. Thanks for your sweet comments!! Didn’t know you could make your own caulk board paint. O.K. Also, I love making your own stands. We can use that idea in the store all the time. How darn cute are those and those holders…genius! Thanks Holly! I always love your comments!! I am glad you stopped by! Come back again soon. 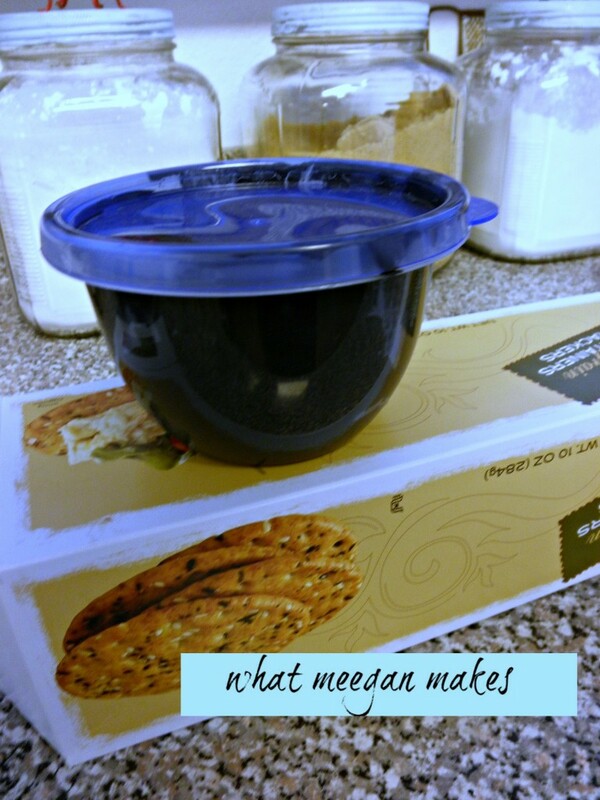 Great idea for the food! I made two little tiny chalkboards to use as props for our anniversary photos the same way and they turned out great. Isn’t it amazing what can be done with cereal boxes! ;>) I’m love, love, loving the stands… would you be willing to share the template? Thanks so much Susan. You are too kind. You bet, I am willing to share the template. This coming week I will post it. So cute! 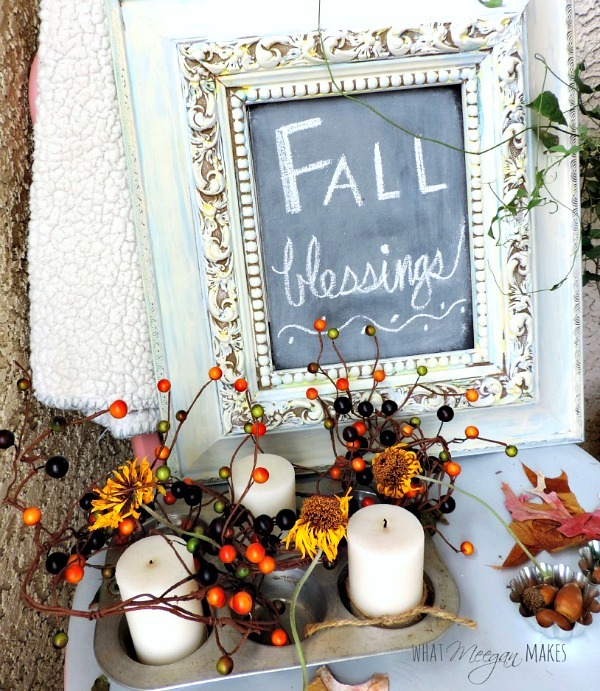 Love this idea – way more affordable than using wood. 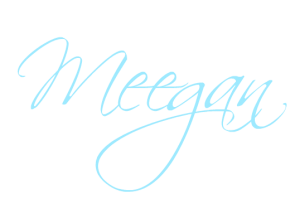 Hi Meegan, Love this idea. 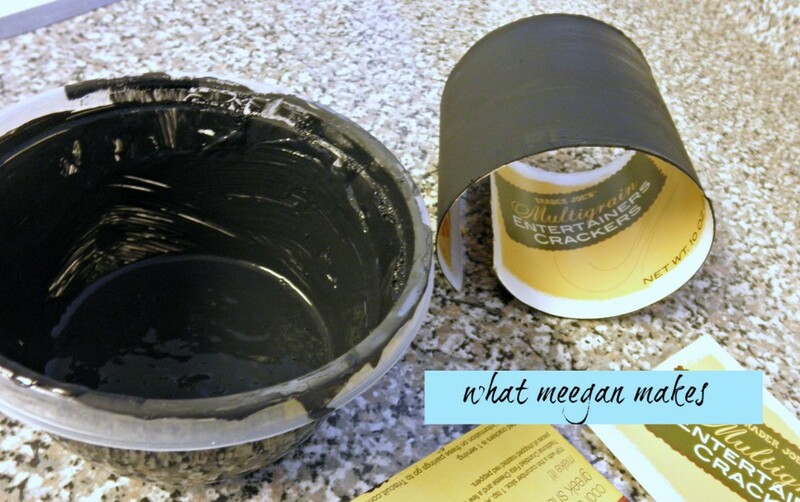 Is this the same receipe for chalk paint that you are using on furniture? If so, what kind of grout are you using- the epoxy? Hi Deb, Thanks for asking. I am using a non-sanded grout. Without any color added. Then I can use it for any projects and any colors. I hope you visit again often.